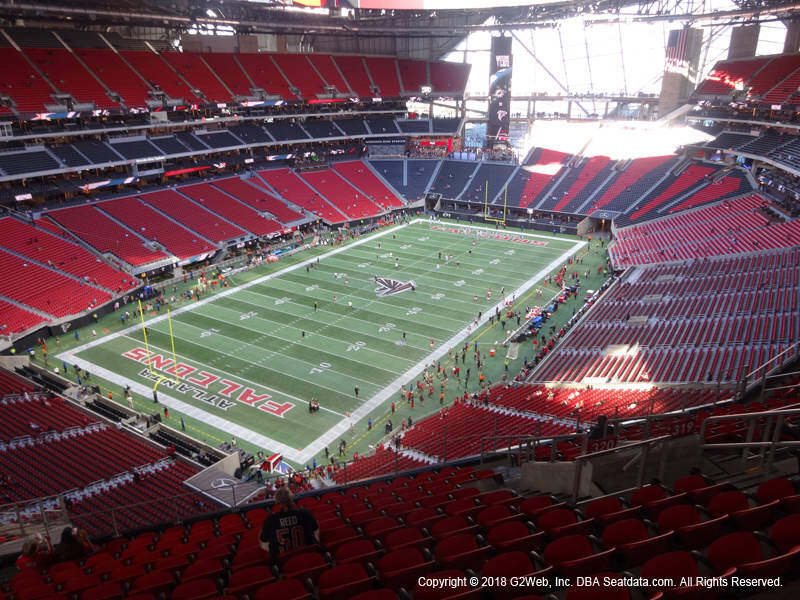 Super Bowl LIII is quickly approaching, and TicketIQ is here to cover the ins and outs of everything going on in Atlanta. From when to buy the cheapest Super Bowl LIII tickets to traveling to the game and more. This guide will help fans find their lane at the biggest sporting event of the year. Tickets for Super Bowl LIII started come down from over $8,000 last week and fell to below $7,000. Last year, prices dipped significantly one week before the game, to $5,339, before jumping up to $7,277 on game day. However, as of Monday morning prices were on the rise again and the average price was $7,493. Through Tuesday prices continued to rise, but on Tuesday night more inventory hit the market and the average price dropped to $6,122 on Wednesday morning. Even more inventory came on the market on Thursday morning driving the average price down to just over $5,600. There were 4,000 tickets available on the secondary as of January 24, but that has since dropped to under 3,000. Look for continued fluctuation in the average asking price. In 2018, ticket prices stayed on a consistent upward trend after the final four teams were set, but on game day, even the cheapest ticket cost fans $3,285, so it's not unreasonable to think that Super Bowl LIII will eclipse that. The current get-in price is right around $2,500. At three weeks out, there were fewer than 1,000 tickets available on the secondary market in 2017 and 2018, as compared to 2,200 this year. In fact, in 2017, there were only 155 tickets available. But in both cases, the secondary market was flooded with tickets by two weeks out, which would account for the drop in prices at the one-week mark. The closer the games got, the more tickets became available in both years, before fans began pushing prices up again heading into game day. In 2018, the get-in price was $4,080 a month before the game and see-sawed to $4,370 two weeks before the game before dropping to $2,745 a week out. The game-day get-in price settled at $3,285. In 2017, the get-in price was $4,378 a month out, and see-sawed before dropping to $3,046 two weeks before the game. From there, it trended down before settling at $1,974 on game day. As covered by TicketIQ Founder Jesse Lawrence is The Daily Beast four years ago, 2015 was a ‘busted’ market driven by bad bets that prices would fall, as they had almost every year before. At the peak of the high-supply era, there were 13,000 tickets available on the secondary market. This year, there are significantly more tickets available compared to about 950 and 150 in 2018 and 2017, respectively -- than in the previous two years. The number of available tickets more closely mirrors the 1,900 that were available at three weeks out in 2016. The cheapest ticket dropped from $3,400 to about $3,200 between four weeks and one week out before settling at $2,714. Those numbers again bear out the idea that the best time to buy is about a week before the game. Here's an Infographic narrative of the Super Bowl market for the previous 5 years that illustrates what happened in 2015. So, when should you buy Super Bowl tickets? That's a tricky question, given who is playing in the conference championships. It's a good bet that tickets will cost more if the Patriots get in, and prices will likely fall if Kansas City emerges as the AFC champion. The scenario is similar, but probably won't be as pronounced, on the NFC side. A Rams win could drive prices up, while a Saints victory could push them down. The only real wild card in that scenario is geography -- while Saints fans may not be as spendy as their Rams counterparts, it's only a 7-hour drive from downtown New Orleans to downtown Atlanta. The NFL is keeping a tighter rein on tickets available to the secondary market by selling through their own vendor, NFLOnLocation.com and its PrimeSport.com division. Monitor the market. Look at prices on the secondary market for Super Bowl LIII tickets multiple times per day and pick a price point that you’re willing to pay. For fans waiting to see prices drop for LIII, if the Patriots are headed to Atlanta, that will likely mean 2019 prices finish higher than last season. For Super Bowl LII in Minneapolis, the get-in price dropped to $2,550 briefly the Friday before the game, before bouncing back up to $3,285 on game day. Download the TicketIQ app for the best deals on all Super Bowl LIII tickets. The TicketIQ app is most transparent ticket app in the marketplace and pools tickets and data from over 90 percent of the resale market, giving fans the best price points on the big game. Getting the best seat for the game is of paramount of importance, whether you want to be able to see the sweat rolling down players’ faces or you just want to be in the room. Key to finding a good seat is also finding a good value. As of January 20, the cheapest available seats were in the Upper Corners and Upper Corners, with prices starting at $2,718. Mezzanine and lower-bowl seats are also available, for between about $4,000-$8,100, and fans could select from lower-level seats in the corners or in the end zones. If money is no object, lower-level club or lounge tickets were available, beginning at just over $7,300. Planning a trip to the Super Bowl if your team advances? Prices vary widely depending on where you're coming from and what kind of accommodations you prefer, but we're here to offer some suggestions. All information is via Priceline.com, is based on travel to Atlanta on February 1 and back home (wherever that is) on February 4, and a three-night hotel stay. Fares and hotel rates were valid as of January 18. Should the Patriots advance to their fourth Super Bowl in five years, the least expensive roundtrip nonstop tickets available on Priceline start at $392.60 for a roundtrip flight to Atlanta on Delta. For that price, many of the flights leave early on February 1, and late at night February 4, so fans can potentially get four full days in Atlanta while paying for only three nights of hotel. Hotel rates start at $123 for a two- or two-and-a-half star hotel, and $193 for a three-star or better hotel. According to a Priceline search, it's less expensive -- starting at $319.50 -- to fly out early February 2 and return late-night February 4. Should the Chiefs get their first Super Bowl since 1970, nonstop roundtrip airfare on Delta, according to Priceline, can be had for as little as $374.60. There are options for early morning flights on the way out and late-night flights on the return, so fans can maximize their time in Atlanta. For a three-night stay, hotel rates start at $123 for a two- or two-and-a-half star hotel, and $193 for a three-star or better hotel. In addition, if you're willing to live on the edge a little, Priceline is offering a cheaper fare of $336.99 for its "Express Deal," which promises a morning flight out and a night flight home, but the carrier is not revealed until the time of booking. This deal may include a flight with a stop. The longest flight by far is, predictably, the most expensive, but Rams fans haven't seen their team in the Super Bowl in 17 years. According to Priceline, the cheapest nonstop roundtrip ticket from Los Angeles to Atlanta is $551.62 on discount carrier Spirit Airways. There is only one option available at the price, leaving LAX at 9:30 a.m. on February 1 and arriving in Atlanta at 4:30 p.m. The return leaves Atlanta at 11:20 a.m. and arrives at LAX at about 1:30 p.m. For fans who can leave a day earlier, Priceline suggests flying out January 31 for a savings of about $100. Hotel rates start at $123 for a two- or two-and-a-half star hotel, and $193 for a three-star or better hotel. The closest home city of the four possible Super Bowl teams, New Orleans is less than an eight-hour drive to Atlanta, but for fans who want to fly, Priceline's cheapest nonstop roundtrip flight will cost $222.55, with service to Atlanta on discount-carrier Spirit Airlines and service back to New Orleans on Delta. For that price, you'll arrive in Atlanta at about 1:30 p.m. on February 1 and head home late night, allowing fans to take advantage of nearly four full days at the Super Bowl. There is only one combination of flights available at the $222.55 rate. Hotel rates start at $123 for a two- or two-and-a-half star hotel, and $193 for a three-star or better hotel. Handheld signs, banners, and flags, provided they are event related and in good taste as determined by stadium security. Signs or flags (larger than 3’ X 5’), shakers, pom-poms or any item with a pole or stick.